For babies diagnosed with congenital diaphragmatic hernia, a comprehensive new guideline in CMAJ (Canadian Medical Association Journal) http://bit.ly/2rqLPLe aims to provide guidance to physicians in diagnosing and managing the condition from the time a diagnosis is made during pregnancy through the teen years. Congenital diaphragmatic hernia is a "hole" in the diaphragm muscle through which the intestines can move into the chest, thereby causing serious problems including death. Improvements in neonatal care have improved survival rates of these babies from 50% to 80% in the last 30 years, but survivors can experience significant long-term health issues that affect feeding, growth and brain development as well as the lungs, heart and thoracic cage. The guideline was created to provide standardized management through three phases: prenatal, postnatal and childhood/teen stages of life. The condition requires the expertise of a variety of specialists in addition to primary care physicians. The lack of "best practices" on how to manage this complex condition leads to significant variability in care across Canada. 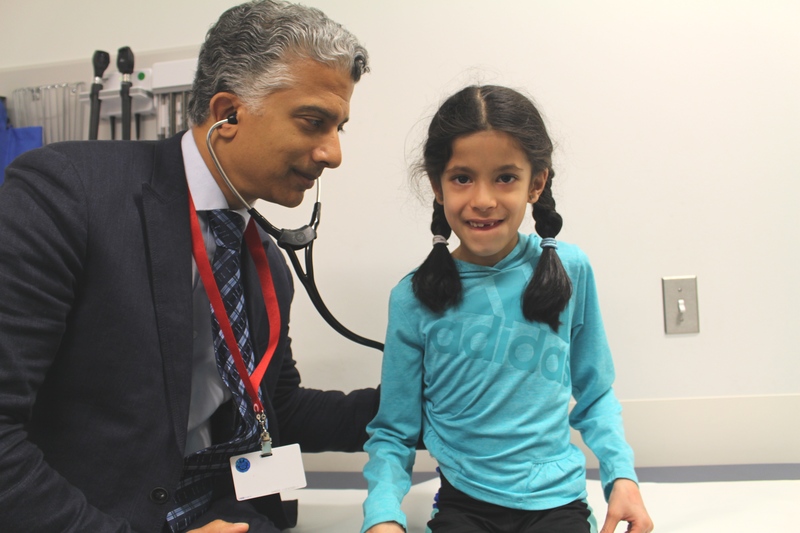 "We saw this as an opportunity to improve outcomes for children with congenital diaphragmatic hernia by standardizing care across Canada," says Dr. Pramod Puligandla, Montreal Children's Hospital, Montreal, Quebec, and the project lead of the Canadian Congenital Diaphragmatic Hernia Collaborative that developed the guideline. "We hope this evidence-based guideline will be useful to all clinicians involved in the care of these infants." The authors consulted existing recommendations before creating their own and note that the new Canadian guidelines are more in-depth than the guidelines from Europe. The new guidelines also cover all aspects of care for congenital diaphragmatic hernia rather than specific lung problems, which recent guidelines from the American Heart Association/American Thoracic Society focus on. "Long-term disability surveillance is essential, especially in high-risk patients, and should be managed by interdisciplinary teams of primary care physicians, pediatricians, pediatric subspecialists, pediatric surgeons and other allied health professionals," the authors conclude. "Diagnosis and management of congenital diaphragmatic hernia: a clinical practice guideline" is published January 29, 2018. To listen to Dr. Puligandla’s CMAJ podcast interview, click here.